The words “chocolate sandwich” have saved me many a morning from going down the tubes. 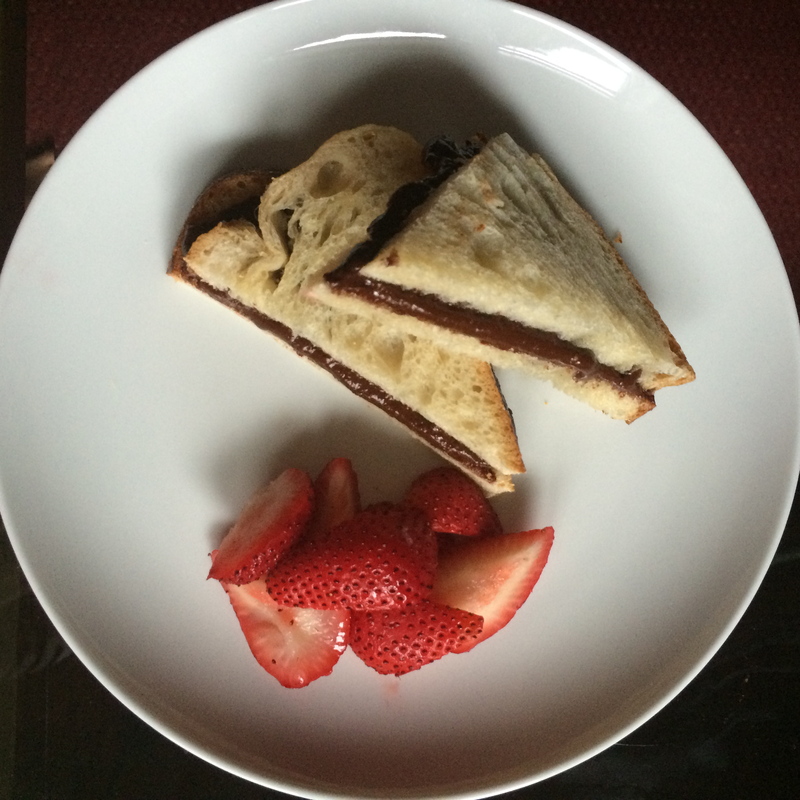 Inspired by Nutella, this spread is made from ingredients that are commonly found in your pantry. Unlike Nutella, whose main ingredient is sugar, the main ingredient of this is unsweetened peanut butter which has protein for energy and helps to keep you full. This version doesn’t contain soy lecithin in it either, a common ingredient used to emulsify food that is usually GMO. My kids love it as a simple sandwich, but I’ve been known to spread it on apples, dip pretzels in it, or sneak a spoonful when my kids aren’t looking. If you want to be fancy, it makes a great condiment on a cheese plate with a nice Robiola or triple crème and some strawberries. Mix all ingredients together until well blended. 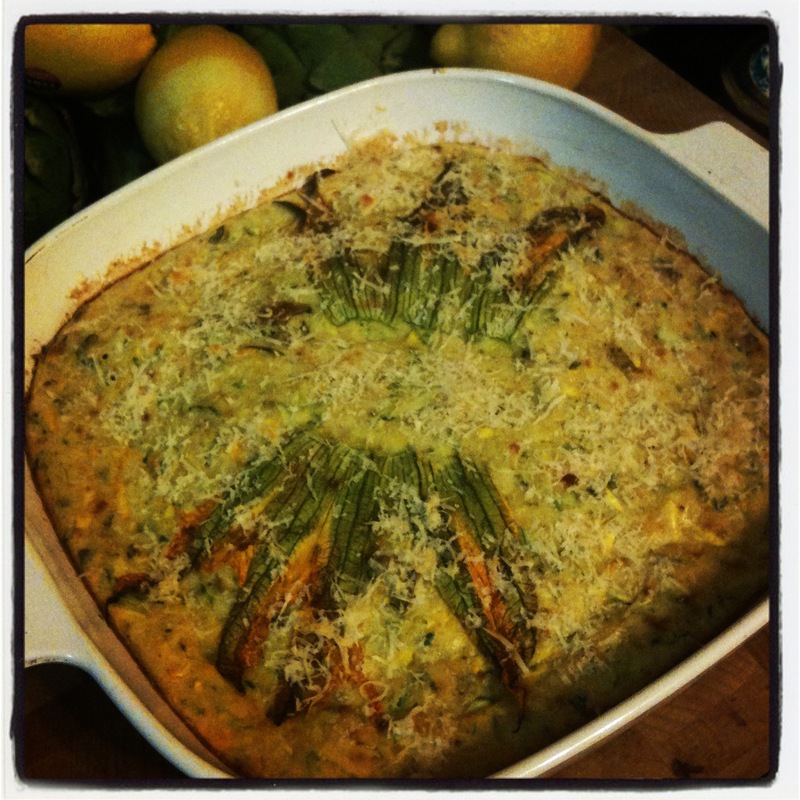 Store it at room temperature for a couple of days, or in the refrigerator for longer (if it’s around that long!). Just be sure to take it out about an hour before you intend to use it so that it may soften. Oils may separate out, that is normal. Just stir to incorporate them back in. 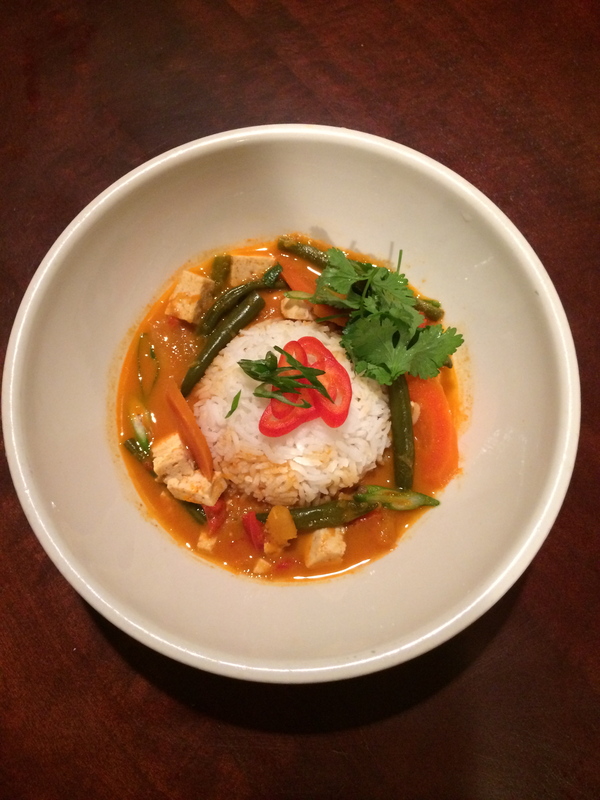 This slow cooker Thai Red Curry has become a surprise hit in my household. I love that its full of vegetables and the first time I made it was totally vegetarian, eschewing the fish sauce and tossing tofu in at the end. I worried it might be too spicy so I pulled all the vegetables and tofu out of the broth, arranged them on my children’s plates next to their rice and they ended up asking for seconds. Zoe especially loved “the chicken”. The second time I made it, I finished it with fish sauce, and then dropped some cleaned shrimp in (still keeping the tofu). Fish sauce is an Asian condiment made from fermented fish, and is one of those things that smells so badly but when used in the right context adds such a depth of flavor and salt that can’t be achieved any other way. In fact, any curry at a Thai restaurant, even the vegetable ones, have fish sauce in them. Still, it’s an ingredient that most people don’t want to buy to use once, and it’s really hard to get past the funky fermented smell that permeates the room once you open the cap. If you don’t want to go that route, you can simply season at the end with both soy sauce and regular salt and it will still be delicious. It’s important to add salt at both the beginning and end of the cooking process because in the beginning it will flavor the vegetables cooking, but those vegetables throw off a lot of natural juices that will dilute the broth and need to be balanced at the end. Thai Red Curries are traditionally less spicy than green so I went with that. I use one 4-oz jar of Thai Kitchen Red Curry Paste as a base. It’s a fine product that contains only pureed aromatics and nothing else, but to achieve a full flavor I add more ginger and lemongrass. Slow cooking everything and adding butternut squash lends sweetness that allows me to leave out the traditional ingredient of palm sugar. You can use regular coconut milk, or light, they both taste good, the latter producing a less rich and more soupy broth that is still worthy of some rice. To that point, the perfect side dish is some steamed jasmine rice, but any white rice will do too. 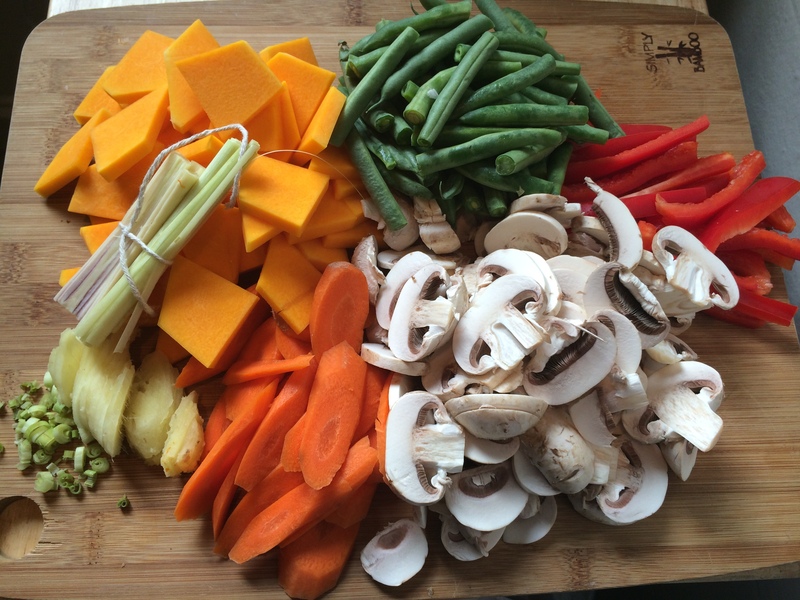 Cut all of the vegetables the day before and store them in a big bowl so in the morning you plop everything in the slow cooker and are done with it. 1. Add coconut milk, curry paste, ginger and lemongrass to slow cooker and whisk to combine. 2. 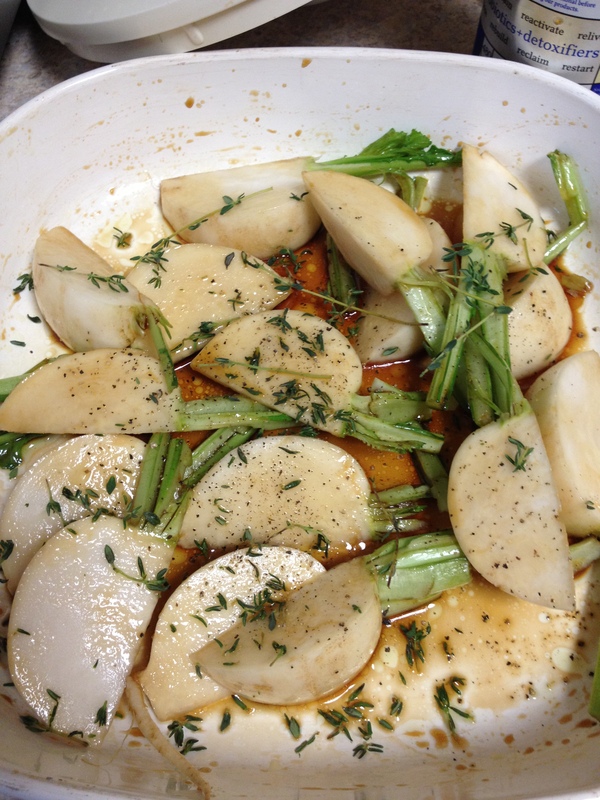 Add vegetables and gently stir to coat all of the vegetables with the sauce. The vegetables will not be completely submerged and that is ok. During the cooking process they will release their water and shrink down. 3. Cook on high for about 3.5 hours or low for about 6 hours. Fish out the bunch of lemongrass and discard. Finish seasoning to taste: It could take an additional 2 tsp of salt and 1 teaspoon of soy sauce at this point, or 2 tsp fish sauce, depending on the water content in the vegetables. Taste it and season it to your taste. I like salty so I will even add a couple squirts of fish sauce right to my bowl. 4. When it’s seasoned, if adding shrimp, turn the cooker up to high, drop in the shrimp and cook until pink and firm to the touch, about 10-20 minutes depending on the size of the shrimp. If you aren’t sure, take one out and cut into it. Add your tofu once the shrimp are cooked and gently warm through. 5. 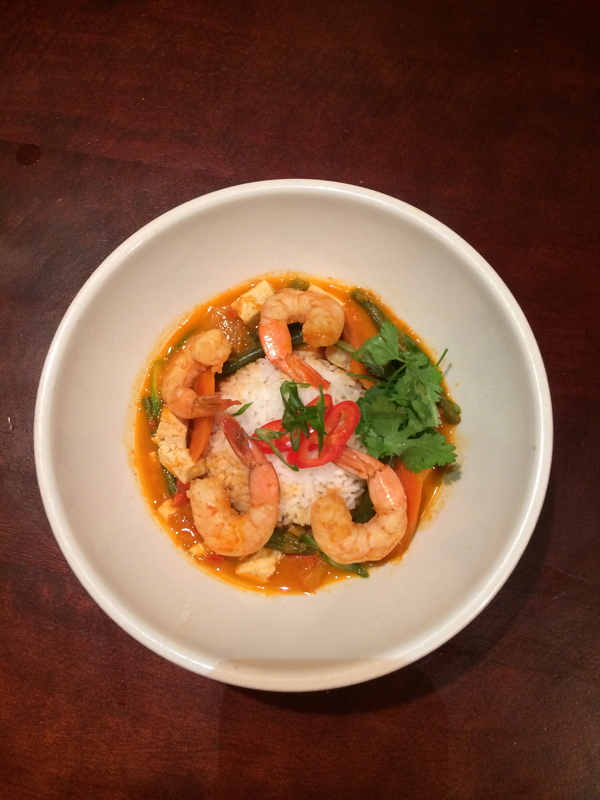 Serve in a bowl as a soup or with Jasmine rice. You can finish the dish with chopped red chilis if you like a bit more heat like I do, fresh cilantro leaves and sliced scallions. Enjoy!! You’ve eaten the roasted chicken, licked your fingers and now it’s time for clean up. Believe it or not, that chicken carcass that you have left is one of the most valuable things to come across your kitchen. If you haven’t noticed, chicken stock is a widely used ingredient in anything from soups, to curries, risotto, braises and even vegetable dishes. The reason for this is its neutral flavor doesn’t overpower the other ingredients like say, a vegetable stock could, but instead it adds a round flavor and richness that serves as a great building block. What you buy in the store is usually broth, made from meat and flavorings and not usually the simmered bones. 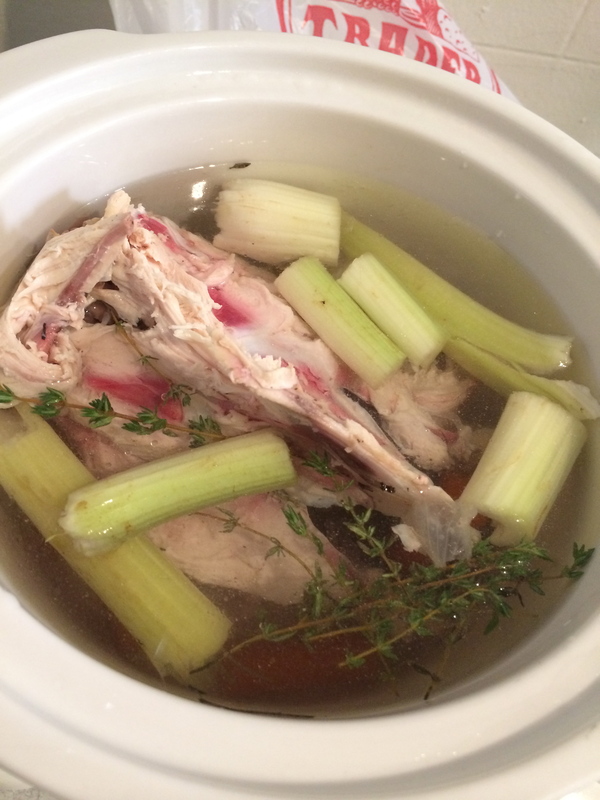 If you make a proper stock from bones cooked for a long time you release their natural gelatin which is why a homemade stock becomes jelly when it cools. What is also does is give you that velvety viscous mouth feel when it’s hot. Store bought chicken “stock” or broth also has salt in it, something the professionals never do because if you reduce the stock to concentrate flavor and gelatin it would then be too salty. So you season with salt at the end. That being said, I use box stock when I don’t have any home-made in the house, but I always buy low sodium and organic to minimize the crazy ingredients they add for flavor. Just watch the salt if you use store-bought, and when using home-made, you will have to season with a little extra at the end. Keep in mind this is one chicken, so you may not get that jelly when cold texture but its still a hell of a lot better than spending money! If you own a slow cooker, you can toss the leftover chicken body and any juices that are hanging out on the dish around it right in after dinner and cook it overnight or do the same the next day. If not, save it in a Tupperware and simmer it gently in a pot on a day that you have some time. If you simmer it for 2-3 hours you should be fine and watch the water level so it never gets completely dry. Reducing it will concentrate flavor and save space in your freezer and you can add water or broth to make up any liquid difference in your recipes. 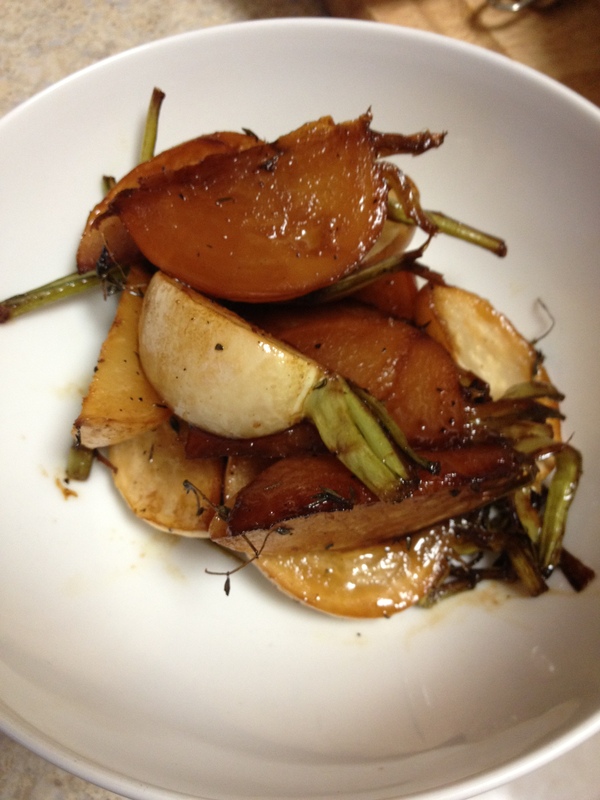 Lastly, the slow cooker does crazy things to onions so I leave them out if I’m using that. 1. Cover all ingredients with water in a slow cooker or a pot that is deeper than wide, and not too big or too small for the ingredients. 2. In slow-cooker cook on high for 4-6 hours or low for 8 hours. On stove top, bring to a boil on high heat, then reduce it to a simmer and simmer 2-4 hours until done, watching the liquid. Skim the impurities off the top with a spoon or ladle during the process. 3. Strain out the solids and discard and cool, then freeze. As for the chicken, there are a few tricks that I use to ensure that the skin comes out crispy and the meat succulent. First, the day before you are cooking the chicken take it out of its package, carefully drain the juices and pat it dry, do not wash it. One of the most common misconceptions is that you should wash a chicken. Washing a chicken doesn’t remove any salmonella from it, it just sprays it all over your kitchen sink, counter and drain board. You kill Salmonella by cooking your chicken to the proper temperature or by using a chemical sanitizer like bleach. Place it on a Corningware or a plate with high sides to catch any juices that might leak out and leave it in your fridge overnight to dry out even further. This removes water from the skin to help it crisp up and actually improves the texture of the meat. Many cultures hang and age their poultry before eating it, and getting it out of the bag of blood, juice and gizzards gives it less opportunity to spoil and develop off flavors and smells. The second is to salt the crap out of the skin before you cook it. There needs to be almost a crust of salt on the skin that you shouldn’t panic about because it does not penetrate to the meat. If you want, you can remove the amazing bite of crunchy salty bliss or you can get over it and eat a thin sliver as punctuation for the 2 inches of unseasoned flesh underneath. Lastly, do yourself a huge favor and get an instant read thermometer. That is the kind that you insert in the food after its cooked to take its temperature, not the kind you insert from the beginning. A chicken can differ in size, density, and temperature when you put it in the oven. Oven temps fluctuate too so cooking time is a guideline. If you want to know when your chicken is done “temp it,” as we say in the cooking world, and you can’t go wrong. It should read 165 in the thickest part of the leg, near the bone but not touching it. Be sure to let the chicken rest before carving it. It finishes cooking the bird and redistributes the juices into the flesh. Then you can eat. 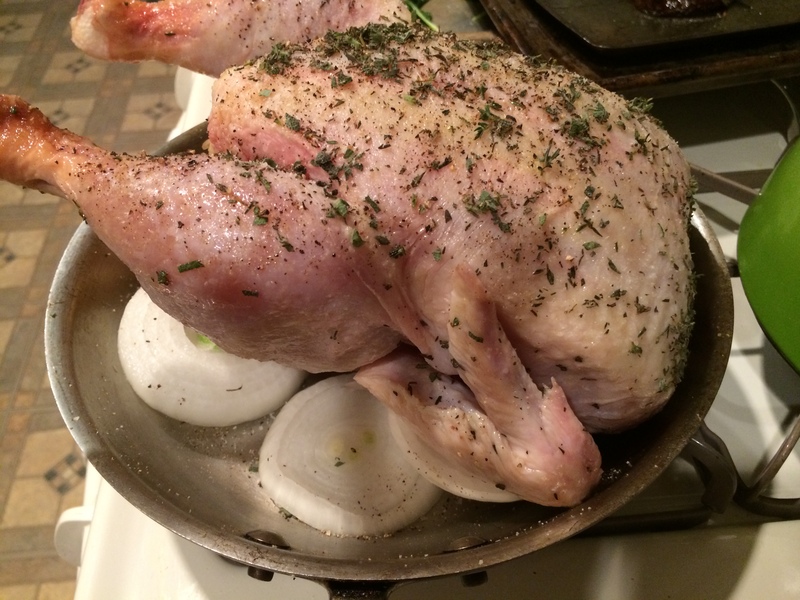 2.Keeping rounds intact, lay onion slices down in a skillet the size of the chicken. 3. Generously salt all sides of the chicken, then sprinkle on pepper and herbs evenly. Tuck wing tips underneath chicken and place chicken on top of onions. 4. Place in preheated oven and roast until when pierced in the leg juices run clear and internal temperature reads 165F, about 1 hour. Remove chicken from pan using tongs or a roasting fork, draining the juices back into the onions, and let rest on a cutting board about 15 minutes. 5. 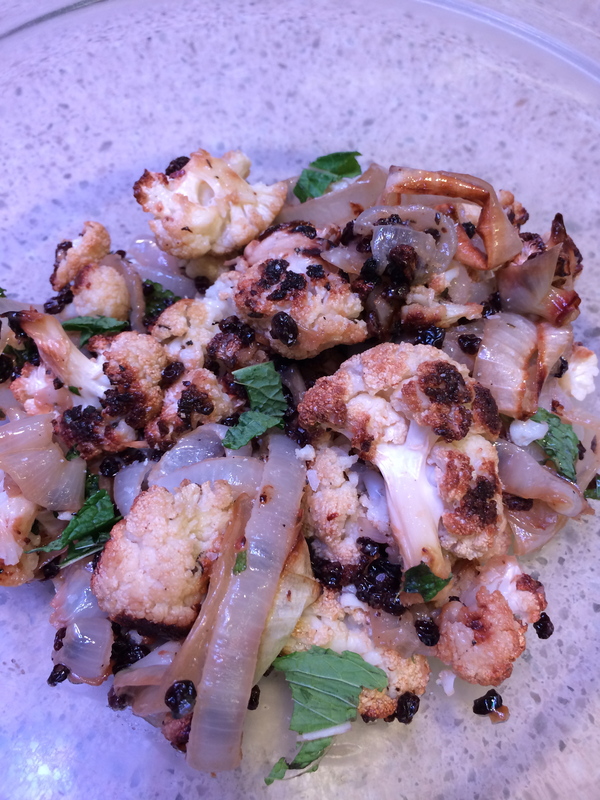 While chicken is roasting, remove the core out of the Cauliflower and cut into 1″ florets. 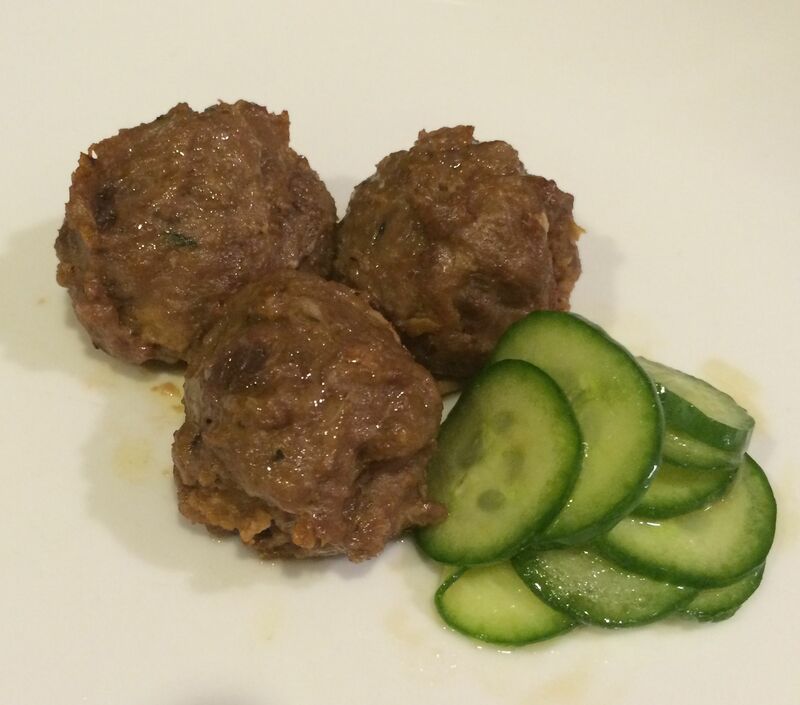 Toss in a bowl with 2 Tablespoons extra virgin olive oil, 1 tsp salt and pepper. Dump onto a cookie sheet and roast until tender with brown spots, about 3o-40 minutes, giving the pan a shake and stir every 10-15 minutes. 6. 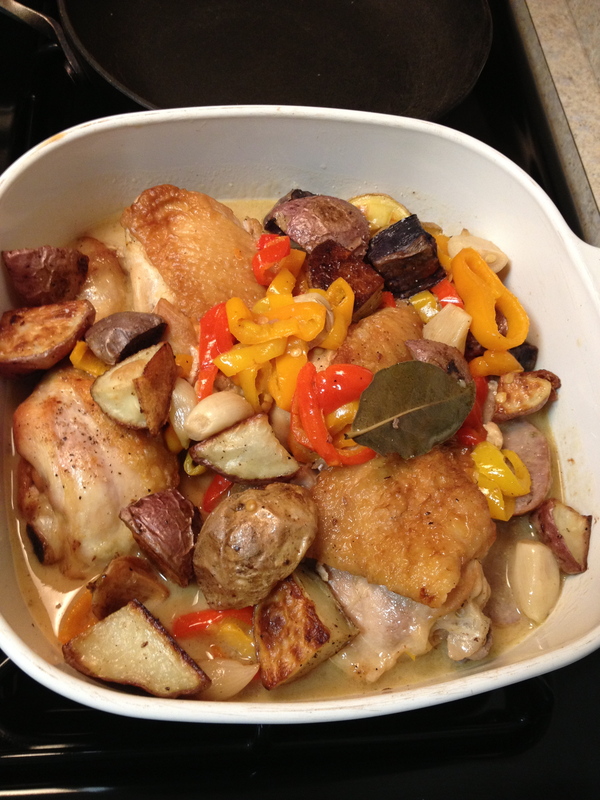 After the chicken comes out of the oven, turn the oven temperature down to 300F. Put cauliflower and onions back in the oven to finish cooking and reduce juices. Cook 10-15 minutes more until cauliflower is soft and onions are melting. 7. 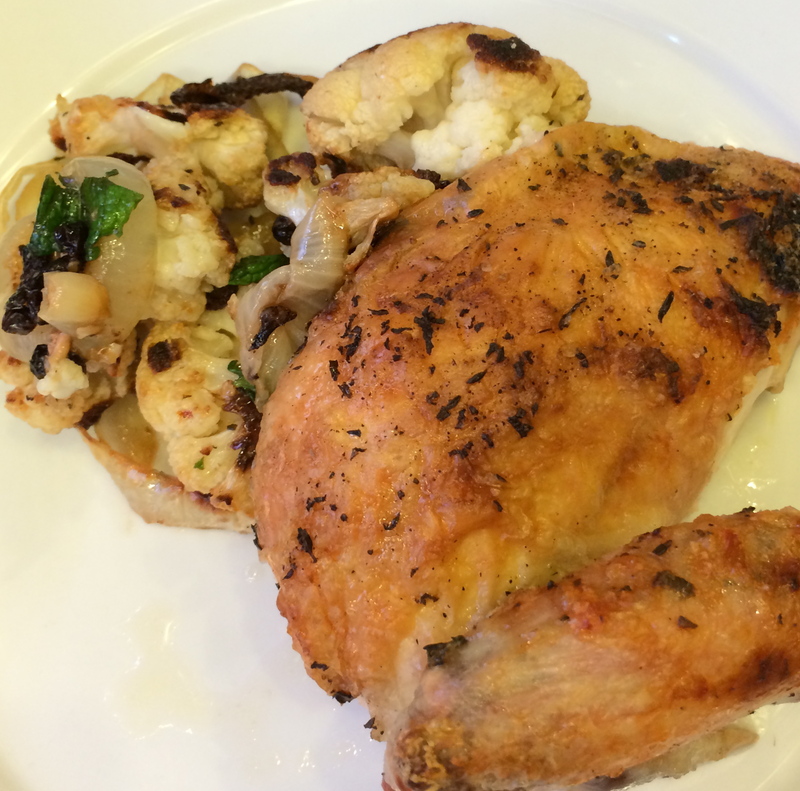 Remove onions and cauliflower from the oven and toss together in a bowl, using as much of the chicken fat as desired. (I am guilty of using it all.) Taste and add salt and pepper if needed and serve as is or dress it to finish. 8. Rip apart the chicken, eat it with the sides and lick your fingers. 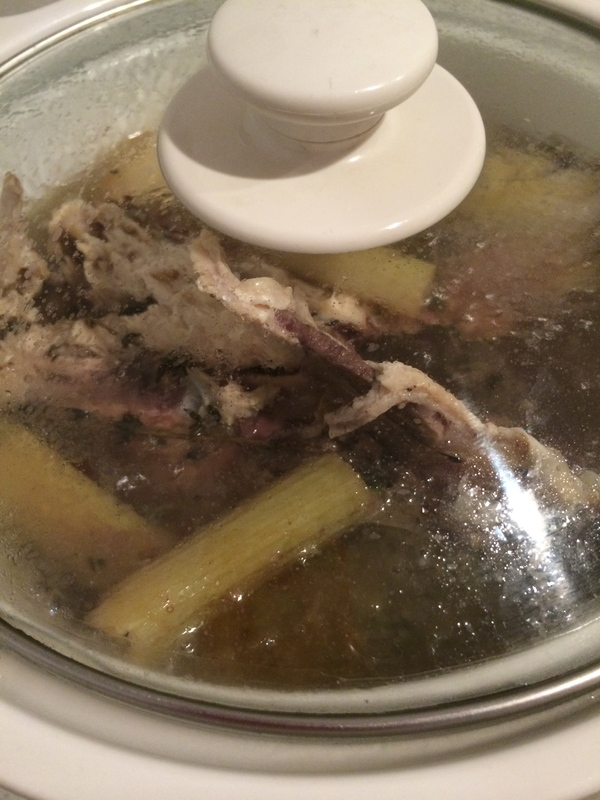 Footnote: After the meat is off the carcass you should absolutely save it to throw in the slow cooker the next day and make chicken stock. You can read all about it here. 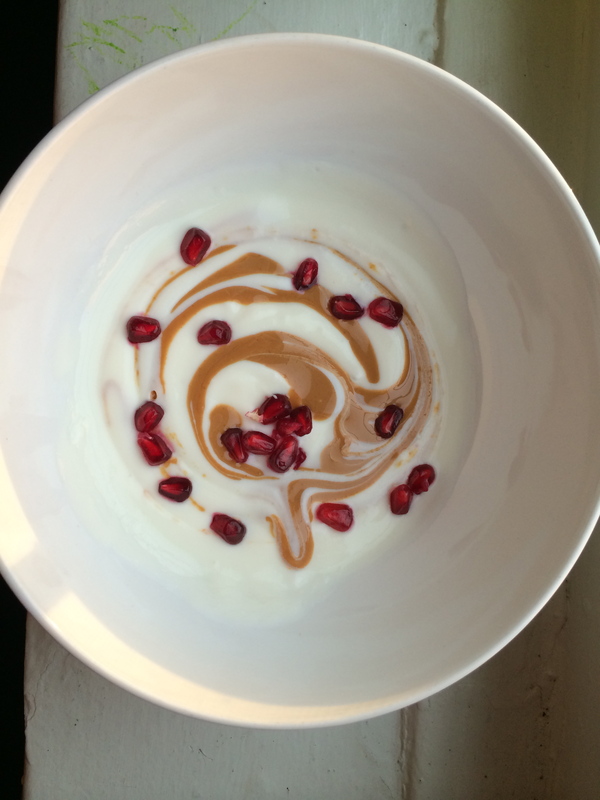 I’m so excited to announce the relaunch of the Gourmom. After many life changes I am back with so much inspiration and motivation and I am thrilled to share this with you. I hope that this blog will help, inspire, educate you and maybe put a smile on your face too. In the coming weeks I will begin with recipes for the slow cooker, which I have rediscovered my love affair with. It’s an indispensible tool in any mom’s arsenal and it’s also much more energy efficient than cooking on the stovetop. I’ve also gotten really into cooking Indian dishes that are child friendly, economical and full of nutrition and healing spices. Moroccan, Middle Eastern and North African flavors have been dominating my kitchen these days allowing me to use vegetables in many more diverse and delicious ways. I am going to share with you not only full out recipes but my “cop-out” meals as well, because even though I work as a cook professionally it doesn’t mean that I don’t have those nights too. I welcome your feedback. Let me know how I am doing and what you would like to see and I will do my best to provide it. The first post will be arriving shortly!